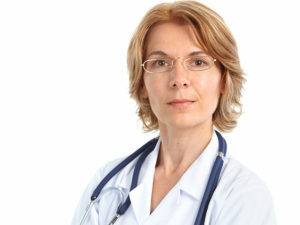 Every year since 1933, the United States has set aside March 30 as National Doctor’s Day, a day to celebrate physicians. This year it falls on a Thursday. I’m all for celebrating doctors, but what happens if you can’t see one because there are no physicians to see? This problem is less obvious in cities, where there often are many choices, but for those in rural areas, it can be a real challenge to get an appointment when or where needed. The No. 1 cause of death and disability in the United States is our diet. But if major noncommunicable diseases are really related to diet, then that’s within our control, just like it’s within the control of smokers to improve their health. When we know that we can decrease the amount of diabetes medicine we take, or reverse the course of our heart disease and maybe even improve these diseases without more medicine, that changes things. When I learned that improvements were within my control, I took action and saw results. There is a lot more scientific evidence to support this than just that one analysis. For example, a study of 89,000 people found that the rates of diabetes dropped the more the subjects ate plant-based.4 In fact, those eating a strictly plant-based diet reduced their likelihood of developing diabetes by 78 percent. This is just the amount of money that could be saved if we care for complications more quickly. What if patients averted most of the complications altogether through diet? That would reduce the number of visits a patient needed to make to a primary care doctor. With fewer visits, the need for more doctors falls. I’ll drink (my green smoothie) to that! Benziger CP, Roth GA, Moran AE. The Global Burden of Disease study and the preventable burden of NCD. Global Heart. 2016 Dec 8; 11(4):393-397. doi: 10.1016/j.gheart.2016.10.024. Funded by the Bill and Melinda Gates Foundation. “Vegetarian diets and incidence of diabetes in the Adventist Health Study-2.” Nutrition, Metabolism and Cardiovascular Disease, April 2013. It would be great if people would be more proactive with their health, rather than reactive. Unfortunately, in our society it seems as if the majority of the population prefers instant gratification in terms of eating habits rather than considering the long term affects of what they are eating. People on the whole are food lovers, and so many social events are centered around food. I also hear people justify their eating on a daily basis, “I ‘just’ had one little piece of cake at lunch, so it isn’t THAT bad.” But that one little piece of cake turns into another piece of cake later in the day, maybe even a snack before bed, and before that person realizes it, they’ve consumed quite a bit of empty calories and high sugar intake. I think the key is in your final statement, “before that person realizes it.” I didn’t realize how much of certain things I ate until I stopped eating it. We all do it, and it takes understanding, effort and community to turn things around.